We use a lot of fennel seeds in our house, they add a subtle layer of fragrance without being a dominant flavour. So this summer I decided to become a forager and gather our own from the hillside. This turned out to be such a simple process, I’m kicking myself for not doing it earlier. 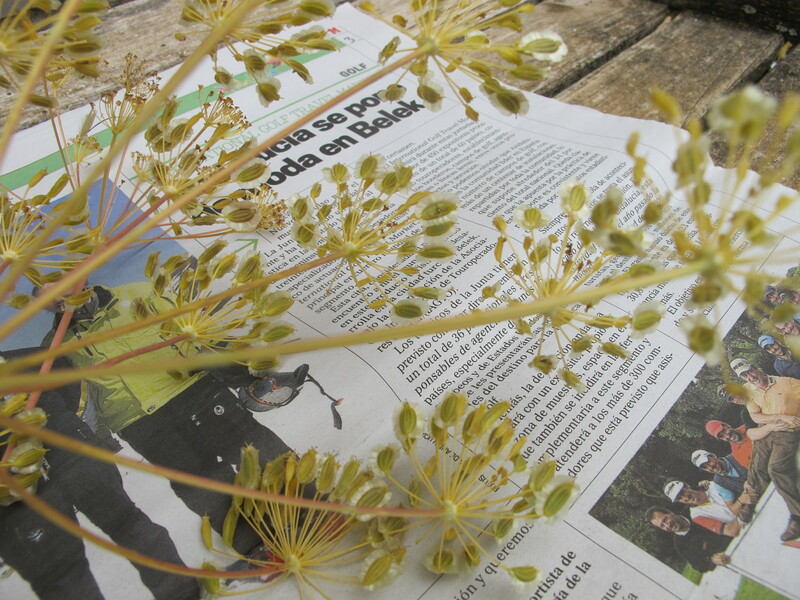 In Spain, the seeds dry on the wild plant so it’s a matter of judging the right time to collect them before any rain. Or before the birds get them. When your chosen day arrives, go for a walk with a pair of scissors and a paper bag. Find your plant and check each seed head – some will have already been eaten by birds, some just don’t set seed. 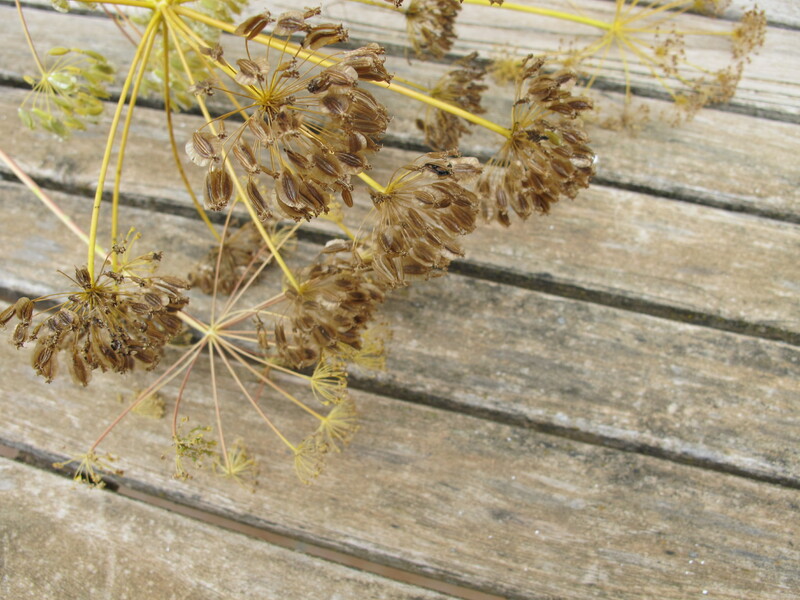 Look for the seed heads with the largest seeds, cut them off and put them in your bag. If I don’t have time to deal with them straight away, I will lay them out in the sun to dry. Alternatively, I tie the bag with string and hang it in the pantry. The seed should separate itself from the seed head within a couple of weeks. Shake the contents of the bag onto some clean paper. Take one seed head at a time and remove the seeds with your thumb and forefinger, dropping them into a dish. Pick through the seeds and remove any twigs, dust and debris. Put your seeds into a jar, seal it and freeze for a week. After that, it’s ready to use. Strip the seeds from the stalks and scatter on a baking tray. Place in the oven at a low temperature for 30 mins or until they feel dry. Now they can be stored whole in a sealed jar, or ground to powder in a coffee grinder [I recommend keeping a grinder specifically for spices]. This entry was posted in A love of food and tagged Andalucia, fennel seeds, food, foraging, recipes, vegetarian food on July 10, 2018 by sandradan1.